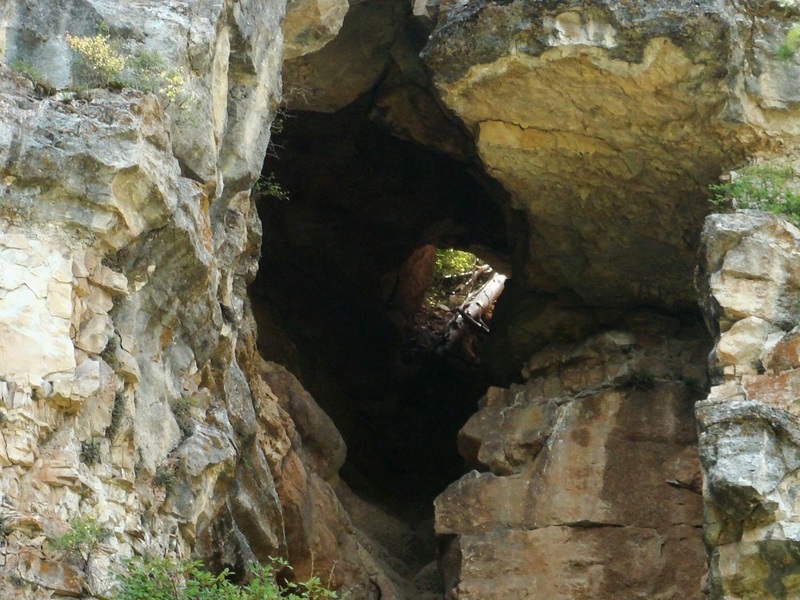 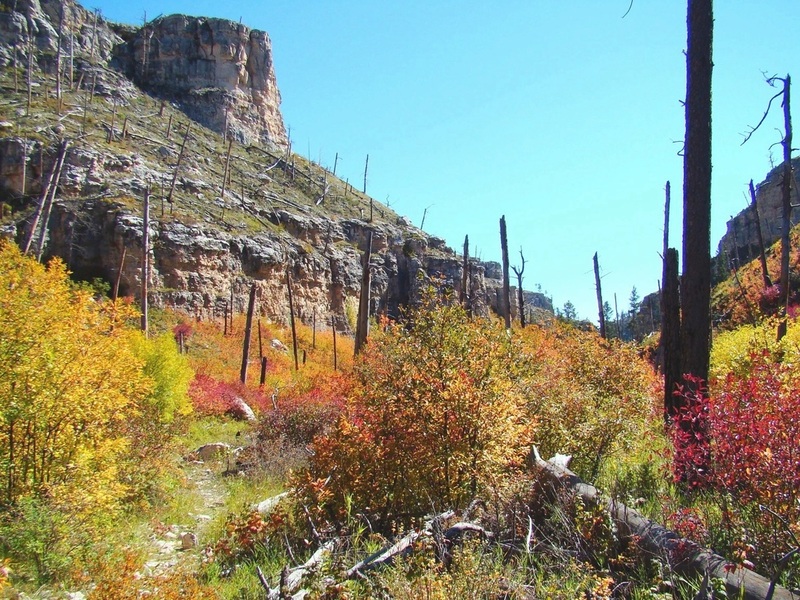 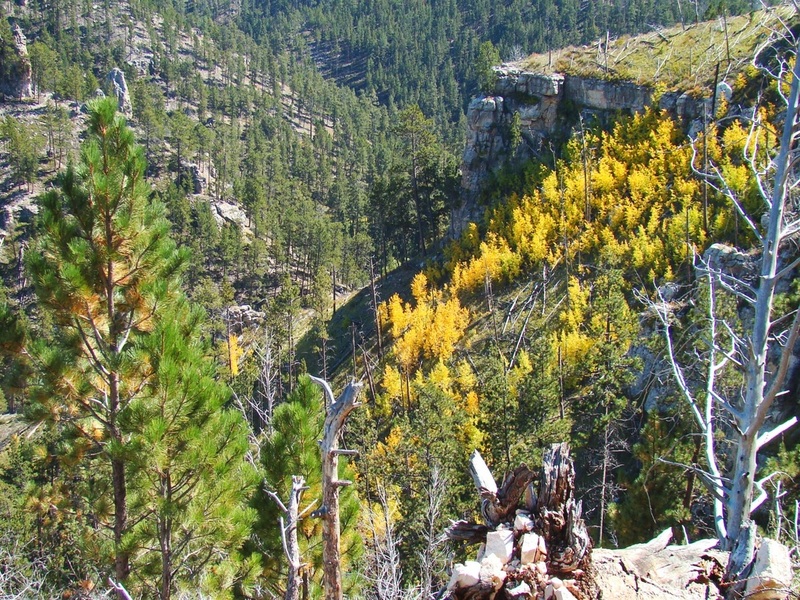 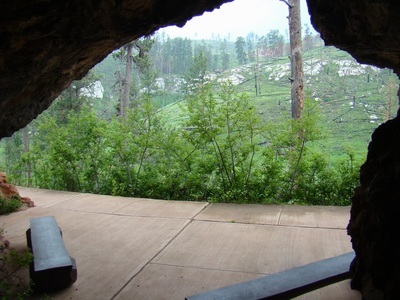 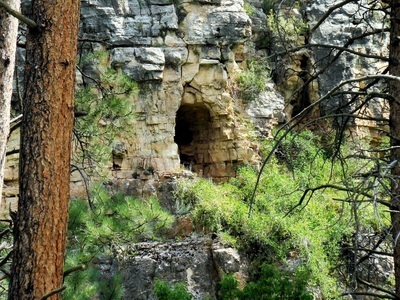 Thanks to Jewel Cave National Monument and National Forest Service land, much of Hell Canyon is open to the public to explore. 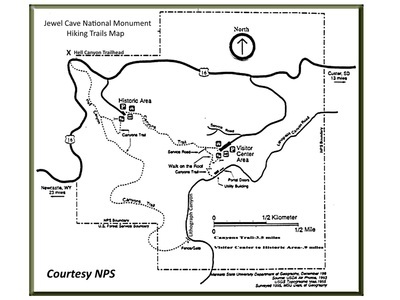 Jewel Cave is about 13 miles west of Custer, SD on Highway 16, or about 25 miles east of Newcastle, WY. Hell Canyon slopes from north to south, dropping about 4,000 feet from near Bear Mountain to where the watershed empties into Pass Creek, draining an area of around 82 square miles. 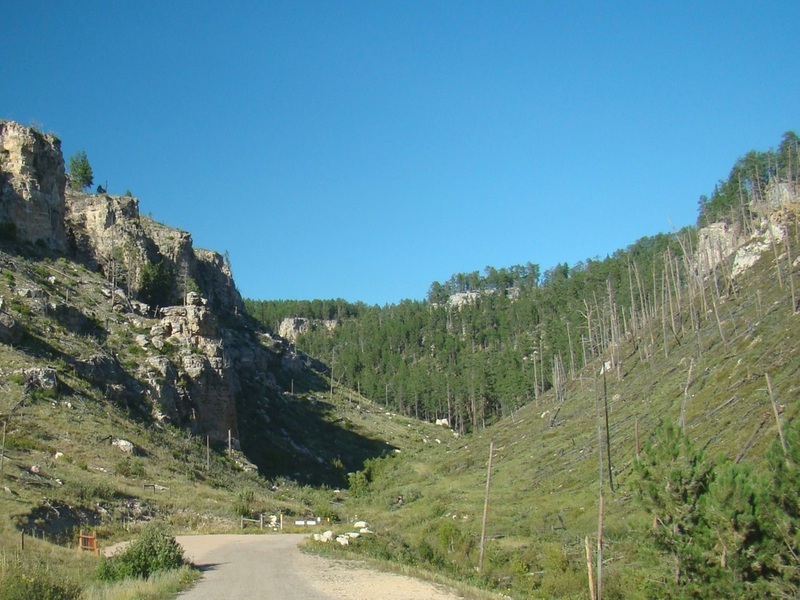 There are three areas of Hell Canyon that have defined routes for exploration. 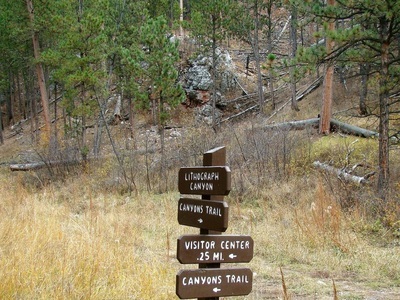 The northernmost is the Hell Canyon Trail. 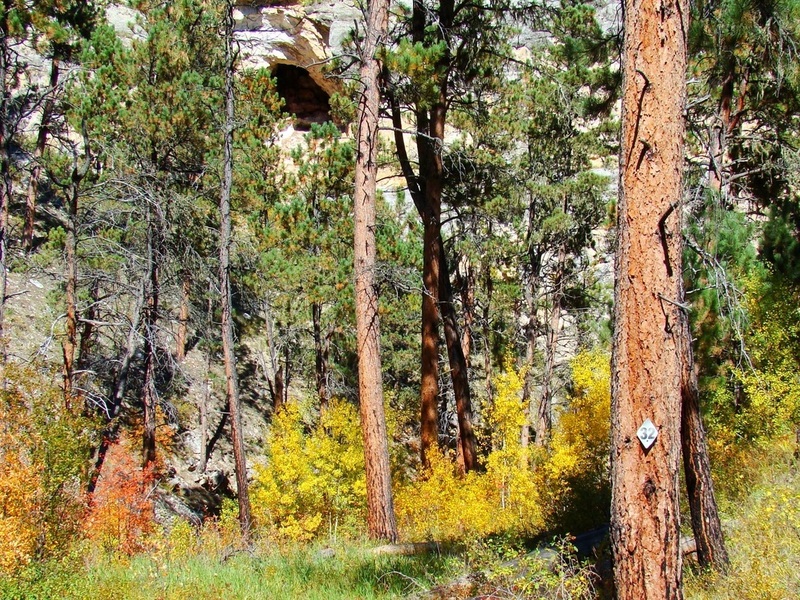 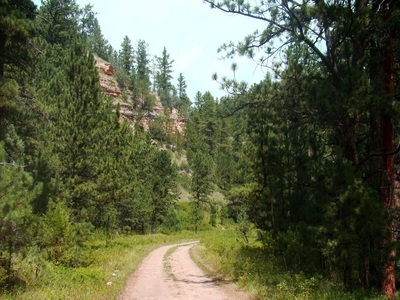 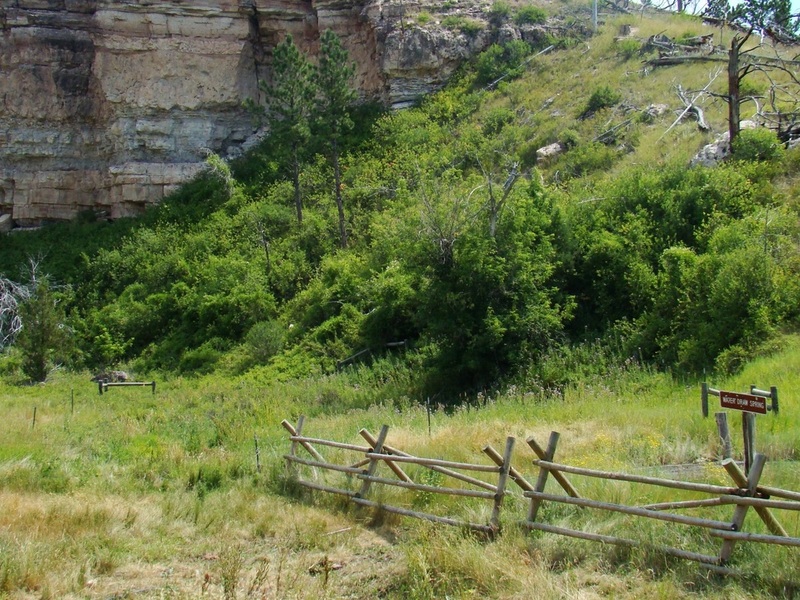 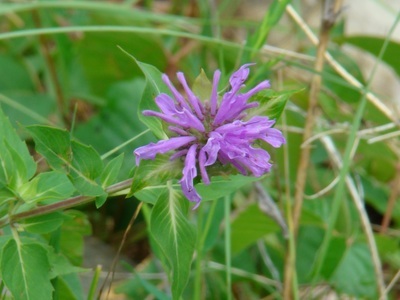 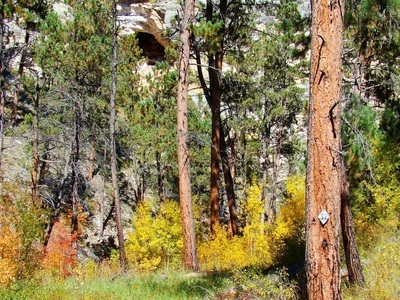 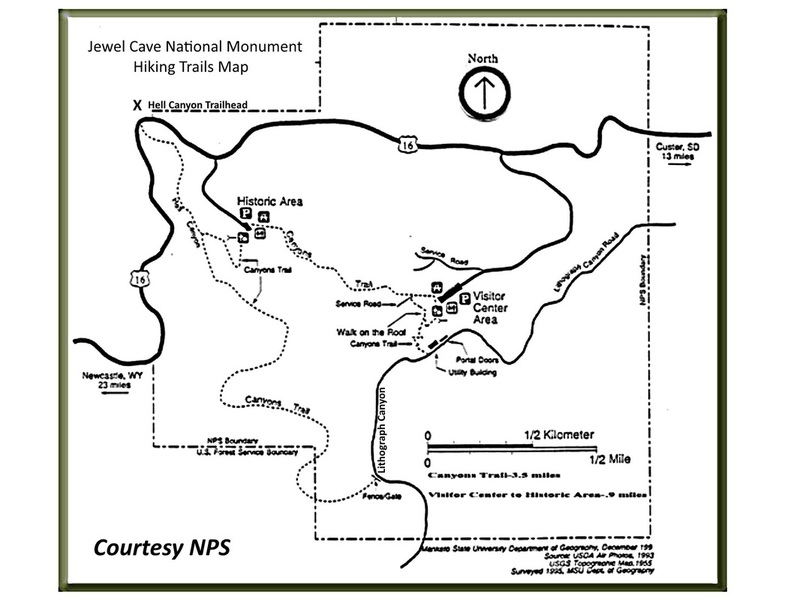 In the center of the exploration is the Canyons Trail in Jewel Cave National Monument. 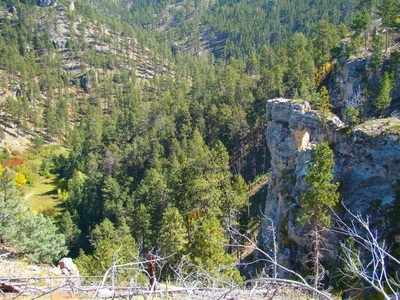 Hell Canyon Road (FSR277) provides the only defined access route through the lower part of Hell Canyon. 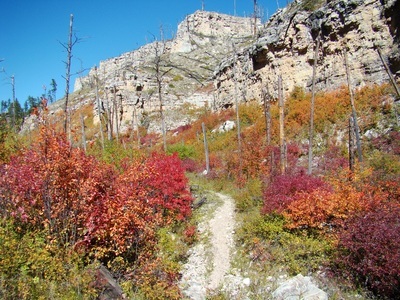 Photos and trail details are posted below. 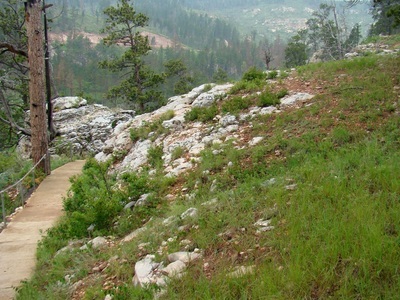 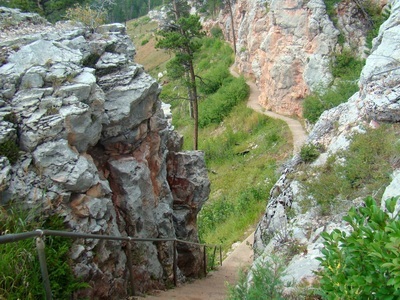 The lower part of Hell Canyon sees little traffic, as compared to the Canyons Trail or the Hell Canyon Trail. 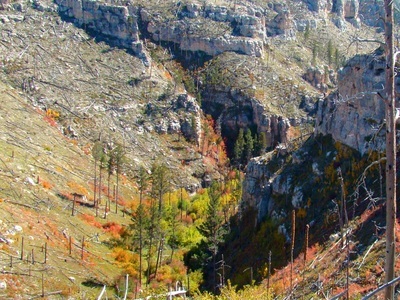 There is no actual trail through this part of the canyon, just the Hell Canyon Road, also designated Forest Service Road 277. Most of the land is public land, but there are a few pieces of private land as well, with a few small ranches located there. 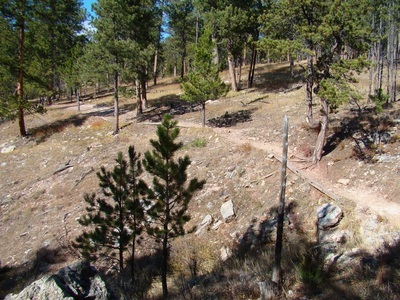 Vehicle traffic is generally very sparse, making this a well-defined route to hike on. 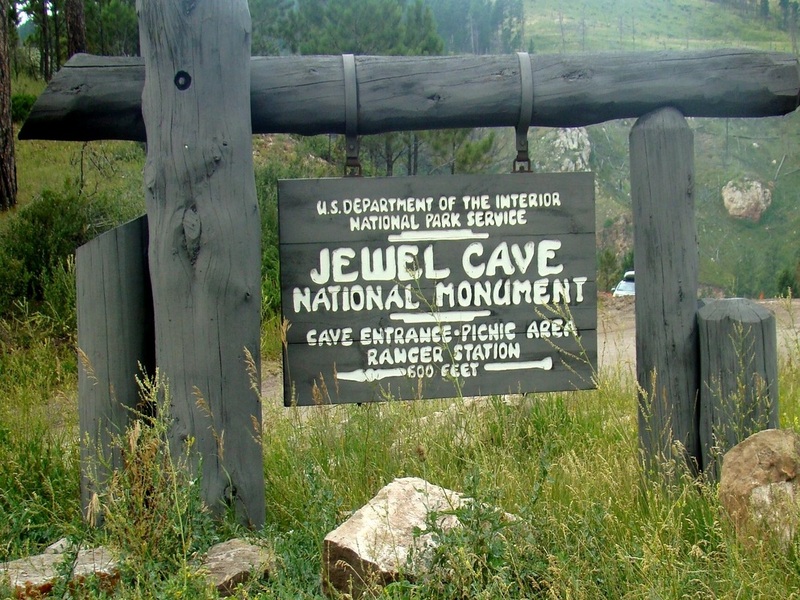 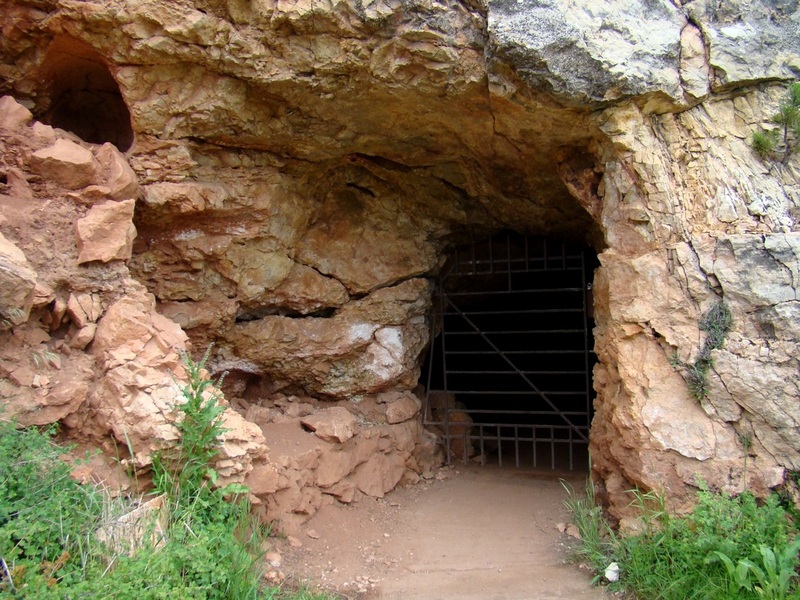 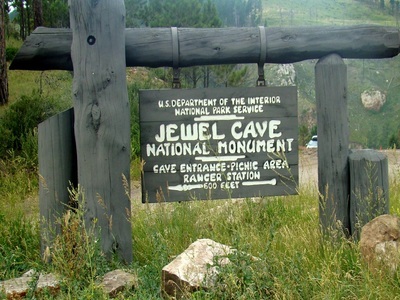 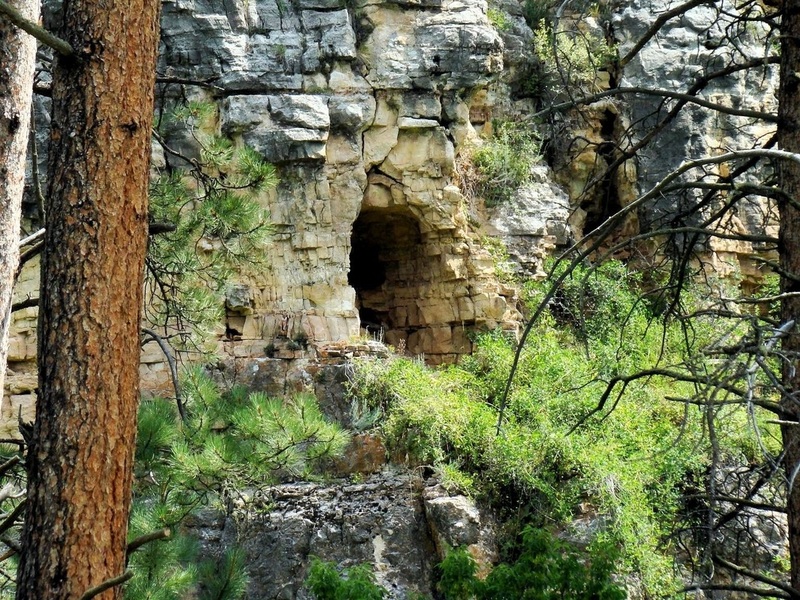 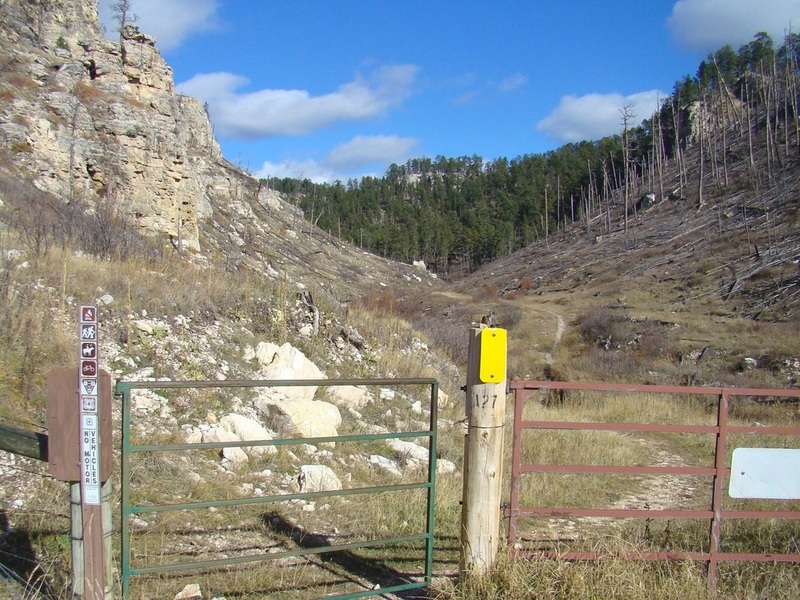 The Hell Canyon Road entrance is located about 2 miles west of the main entrance to Jewel Cave National Monument. 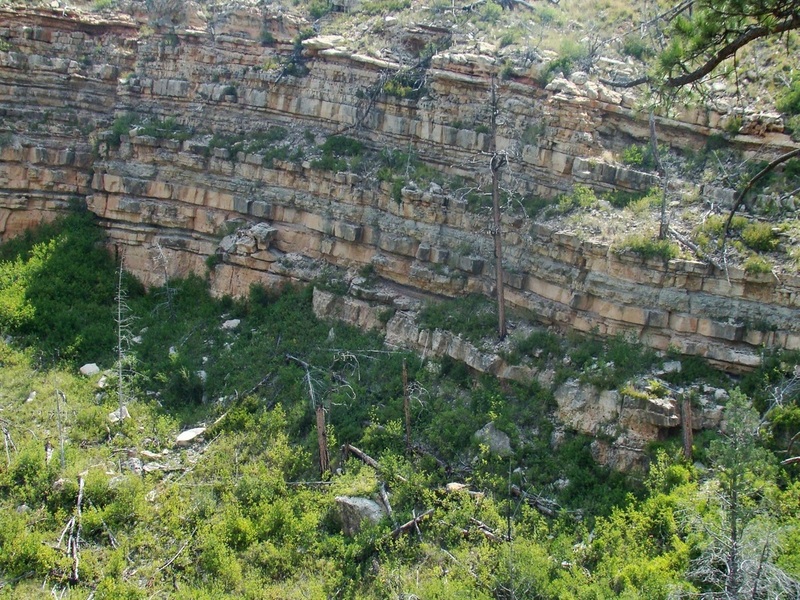 The road winds around 1.3 miles as it drops to the canyon floor. Then, there are about 12 miles of road heading in a generally southern direction, until the road begins it's route through all private property. 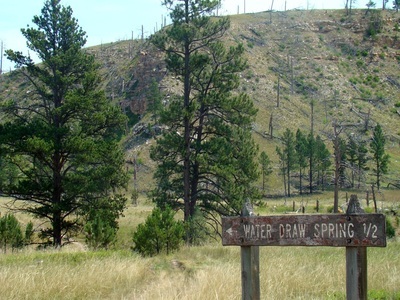 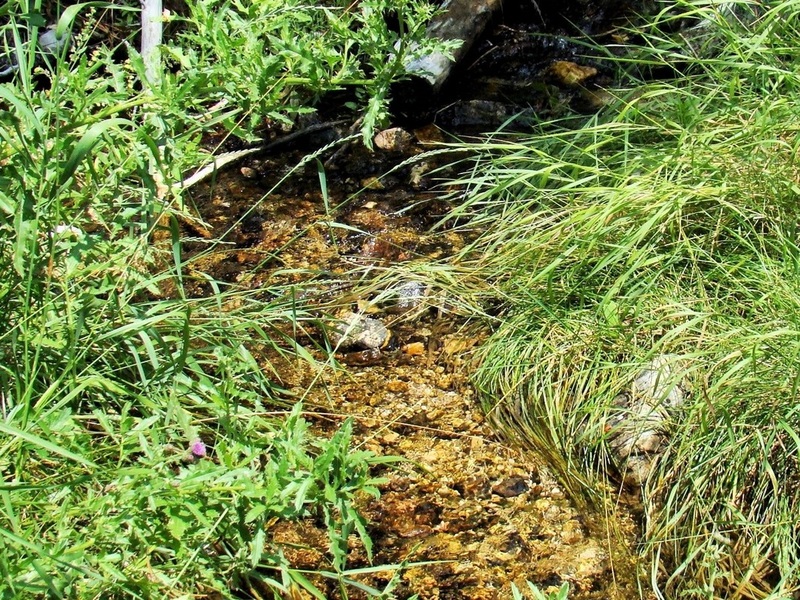 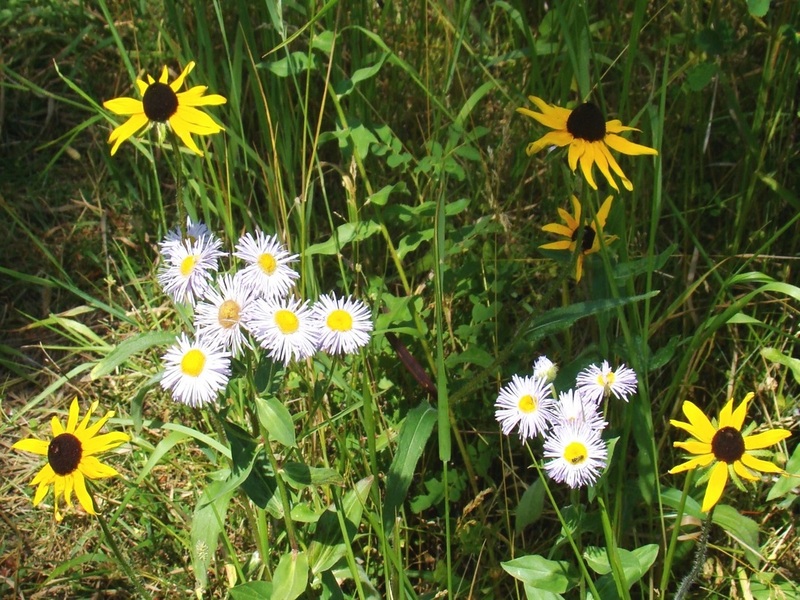 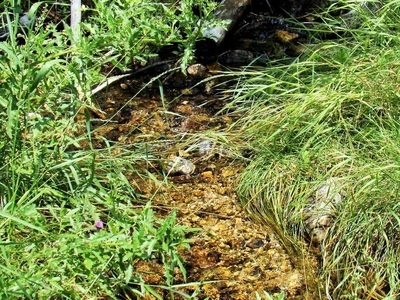 Along the sides of the road, are a few short road branches, which go to springs, like Water Draw Spring and McKenna Spring. 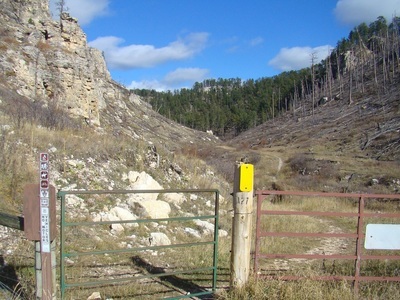 The Pass Creek Road, the only major road branch, travels east to intersect with other roads in the region. 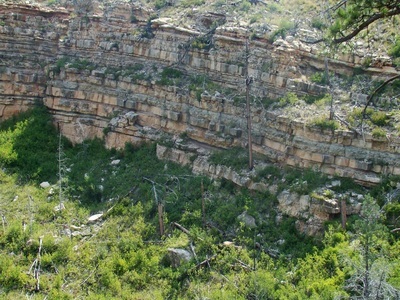 Most of this part of the canyon is less steep and more barren. 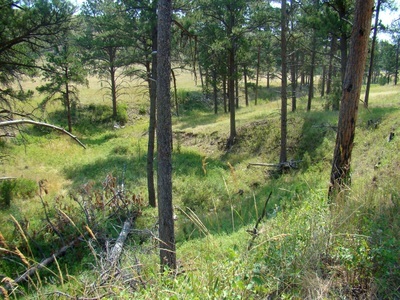 There are some forested sections, but they are the exception rather than the rule. If you choose to hike here, please respect the few private property and no trespassing signs you do find. 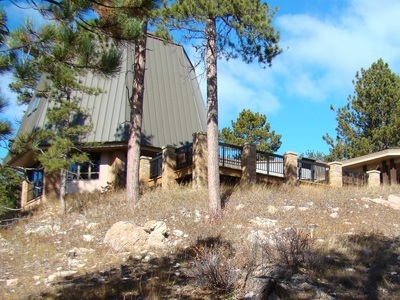 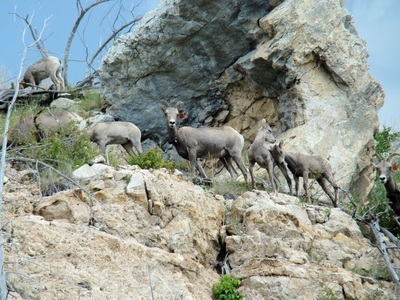 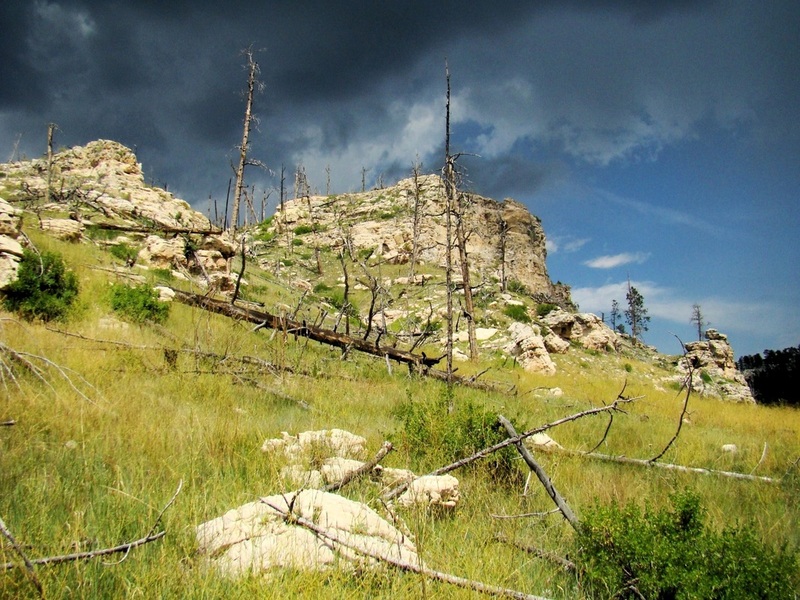 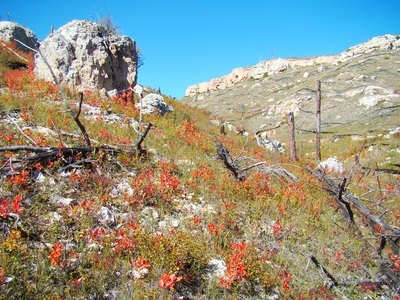 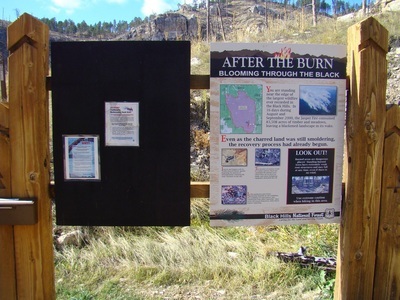 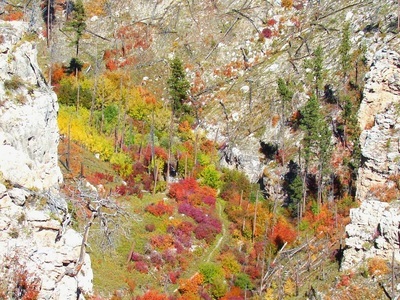 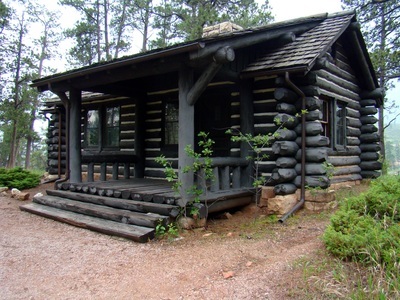 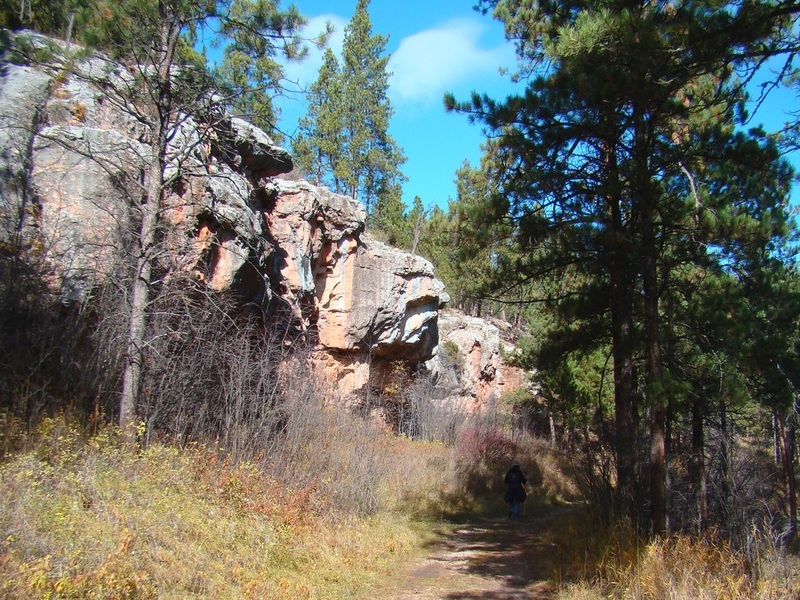 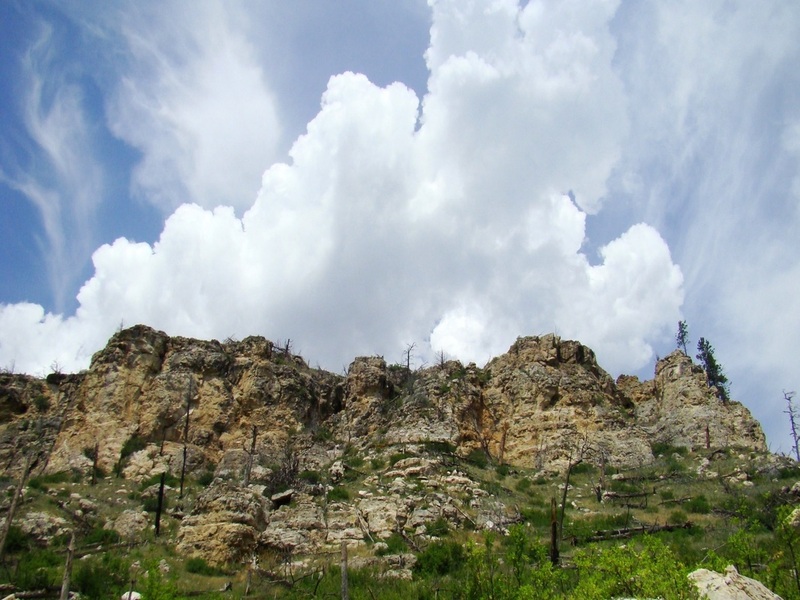 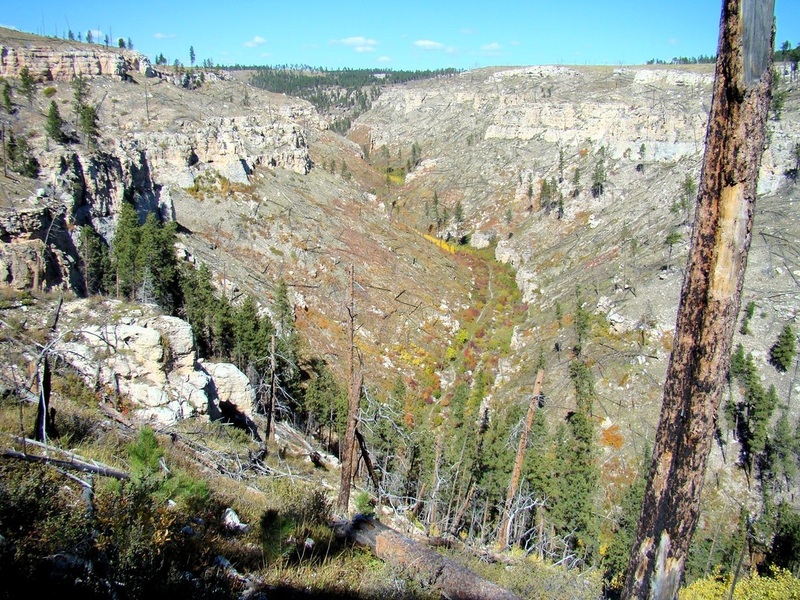 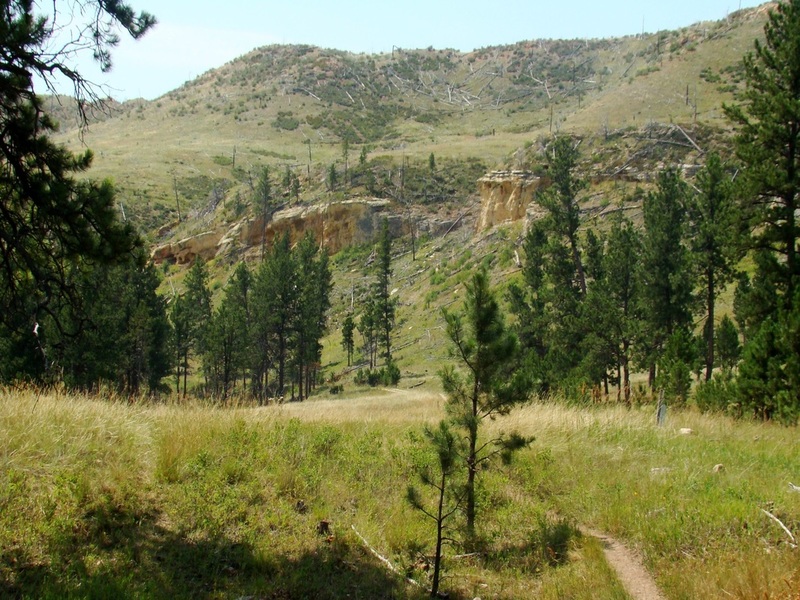 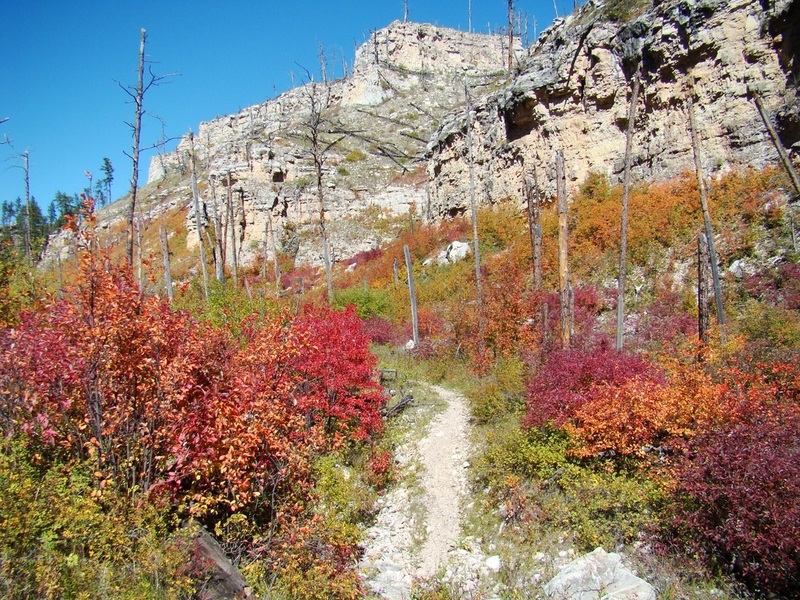 There is more about Hell Canyon on our SummitPost: Hell Canyon page.